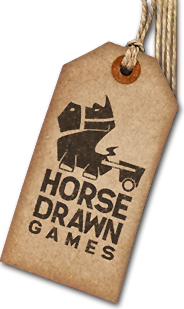 Merry Christmas from Horse Drawn Games! We’re a new team of indie game developers in Australia and are doing a soft launch of our new studio. Exciting things are happening, including our first project and a new website. We can’t wait to show you but in the meanwhile, we’ve baked you a delicious Christmas treat! We also had some fun recently making a little New Year’s Eve greeting!